Exeter Southernhay UK, Hemel Hempstead UK and Arusha Mount Meru Tanzania. 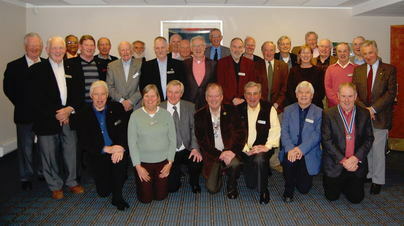 Rotary Club of Berkhampstead Bulbourne donated towards Phase 2. The Rotary clubs of Exeter Southernhay and Hemel Hempstead raised over $8400 (£4200)which was match funded by Rotary District 1170 from their District Designated Fund. The Rotary club of Arush Mount Meru raised $100 which was matched by their Rotary District 9200. This received further match funding from the Rotary International Foundation fund. Funding efforts were made in 2006 and 2007 with the full amount of funding of $28,000 being raised by June 2007. The project will be started in the summer of 2007 and completed by mid 2008. Funding for Phase 2 was $8460 fully funded by the Rotary clubs with no funding from Rotary International.